Your skills of writing cannot be developed and improved over night and by magic. In fact, there is no supernatural power through which you will become a better writer. If there is no short cut and easy approach for you, how can you develop and enhance your writing skills? 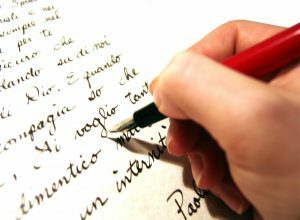 In this article I will present a list of 6 tips for you to improve your writing skills and to help you become a best writer. In fact, this is the best approach to start and to become a best assignment writer. If you ignore or don’t read writing of well-known writers, you would definitely not know the way of doing it. Keep in your mind that every person begins by learning from the masters, and for this you need to emulate great writers, and then through them, you will definitely find your own voice. So, you need to read, read and read. You also need to focus on the style, pattern and mechanics in addition to content. It would be best if you write every day. At least, you need to write multiple times a day. Remember, more writing will help you get better. Indeed, writing is an art and skill, so you will have to practice it to improve your writing skill. You can write a blog, stuff for your own self, and even for other publications. So, you need to simply write a lot. You will experience that it is getting quite easier eventually if you practice a lot every day. It is also necessary to find a certain time of your day when you feel you can write easily and devoid of interruptions. Try to make it your daily routine. Mornings work best for some, but others feel easy writing during lunch or at evening or even midnight. Whether you chose morning or evening, you simply need to make it your habit. You will have to write for minimum half an hour, but if you write for an hour it would be better. If you want to become a best full-time author, you will have to write for several hours a day, as professional authors do. Indeed, this approach will assist you get better. Keep in your mind that writing does not work well if you are writing with distractions. You can write anything best in a quiet environment. However, if you like some slow music you can play it while writing. To create a quiet environment, you need to turn off email or IM notifications, your cell phone, television, and clear off your writing table. If you are not sure about the text, revise it immediately. Revising is imperative and it has been seen that mostly writers hate this approach, as it seems like so much effort when they have already completed their document. But to become a better writer, you must learn how to revise. Careful revision always leads to good and influential writing. Getting positive and negative feedback on your work or blogs is crucial to advancing your opportunity to become a good writer; thus, it is an imperative to always welcome feedback. You can ask your peers, advisers or mentors to carefully review your work and accept their critical feedback with an open mind. Through this approach, you will definitely learn important things about how your own writing style is and how you can improve it. This entry was posted in Assignment Writing on October 15, 2016 by aqeel ahmed.